When Markku Alén, having spent considerable time developing and testing the Delta Integrale in Kenya prior to this year's Marlboro Safari Rally, was then withdrawn by Lancia from the event itself, the inference was that the team's main objective was to get Biasion to win. 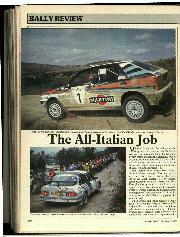 After all, Lancia had never won the Safari, and what better than to have its first victory go to an Italian crew? The official reason at the time was stated as one of pure logistics — that two cars would be far more easily bribed after than three — but most shrewd observers took that with a pinch of salt, and concluded that Biasion was the man whom Lancia was grooming for the world title in 1988. It seemed rather strange at first that Biasion did not appear at the next championship round, in Corsica, but neither Alén nor Fiorio was there either, so there was no chance that Biasion was going to be at a disadvantage. The two French Lancia drivers, Loubet and Saby, who were second and third in Corsica, presented little threat, for their programme for the rest of the year is centred not on the World Championship but on that of France. Of course, another reason for the absence of Turin drivers from Corsica may have been sombre memories of the tragic deaths in that rally a few years ago of their team-mates Bettega, Toivonen and Cresto. 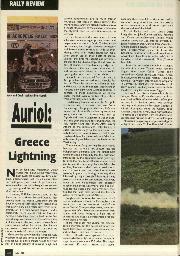 In Greece at the beginning of June, the Lancia line-up was at full strength for the Acropolis Rally: Biasion, Alén and Ericsson in six-speed, Martini-backed, works cars, Fiorio and Loubet in Jolly Club cars, and various others such as the Argentinian Recalde and the Italians Del Zoppo and Ercolani entered privately. Their only real rivals were Toyota and Mazda, with two cars each, but Lancia was nevertheless taking no chances. At first it seemed that Toyota, at least, would be a serious threat. However, when the troublesome presence of Kankkunen in close second or third place disappeared after nineteen of the thirty-two stages, a strong quartet of Lancias appeared unchallenged at the head of the leader-board. The order immediately went out to hold positions, and as Biasion was leading at the time he was then able to finish the rally safe in the knowledge that none of his team-mates was going to be a threat. No team manager likes the idea of close fighting among his own drivers, for personal rivalry can often put team success at risk by tempting two drivers to push so hard that they might both go off the road. Ways of handling such situations vary from subtle persuasion to direct command, but Lancia management seems to make no pretence at moderation. Their instructions are clear and firm, and the team's reputation for manipulating results by team orders is now so well established that whenever two or more of its cars are entrenched at the head of a field, the question is invariably asked, "I wonder whose turn it is to win this time"? 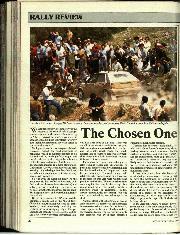 Driving a works-built Integrale was Greek driver Vardinogiannis, in his mid-tvventies already carving a reputation for himself in Greek events. The son of a wealthy industrialist, he uses the pseudonym "Jigger". An older 4WD Delta was driven by Pascale Neyret, daughter of former driver Bob Neyret who later ran a team of ladies driving pink-hued cars backed by a toothpaste company. Toyota brought tvvo 4WD Celica Turbos from Cologne to its second World Championship outing and, after its exploratory appearance on the sinuous tarmac of Corsica, somewhat more was expected of the team on the rough, rocky tracks of Greece. Certainly Lancia regarded these cars as the biggest threat to its winning chances, especially as they were driven by such fine drivers as Waldegard and Kankkunen. Mazda, like Toyota, also has its rally team based in Europe — at Brussels in this case— and brought two 4WD 323s for Mikkola and Salonen, the two regular Finnish drivers. Dogged by disappointments in the past, and with just one Swedish Rally win to its credit, Mazda was confident of an impressive performance in Greece. The only British driver was Malcolm Wilson, partnered by Ian Grindrod in a Vauxhall Astra GTE entered by GM Europe, whilst the Sutton stable had Finland's Sebastian Lindholm in an Audi Coupé Quattro. 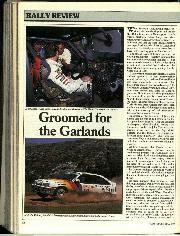 Marlboro Middle East had a Sierra Cosworth for Bin Sulayem and Ronan Morgan, and another Audi Coupe, prepared as usual by Viennese tuner Rolf Schmid, was driven by that inveterate rally wanderer from Austria, Rudolf Stohl. The other teams included four Eastern Bloc outfits which seem to visit Greece and Finland more regularly than anywhere else: Polonez, Lada, Skoda and Wartburg. Two Polonez 1.6Cs were entered by FSO, formerly called Polski-Fiat; two Skoda SI30LAs by the Greek importers; no less than five Lada 2108s by Avtoexport and four Wartburgs somewhat strangely by the drivers rather than by Automobilwerk Eisenach. In the past ten years or so the area of Greece covered by the Acropolis Rally has shrunk considerably. Long gone, of course, are the journeys northwards through night and day to Thesaloniki, and more recently even Kalambaka, with its famous pinnacle-crest monasteries, has been considered too far. The punishing final night through the Peloponisos has also gone, and with it the welcome few hours' cruise by car ferry across the Gulf of Saronikos from Poros to the finish. Nowadays, the route hardly penetrates the central land mass of Greece at all, but remains largely within that southern "middle finger" above the Gulf of Corinth, and extends little more than 200 miles from one extremity to the other. It serves to lessen the organisers' communications problems, of course, but it is actually due to FISA's demands for frequent, long, rest stops and shorter routes. If all this is allowed to carry on, we will find all major international rallies held on no more than a handful of mundane rallycross tracks, each in the daytime and each with money-spinning turnstiles, lucrative tied television contracts and all the trappings of the FISA/FOCA liaison. Ugh! 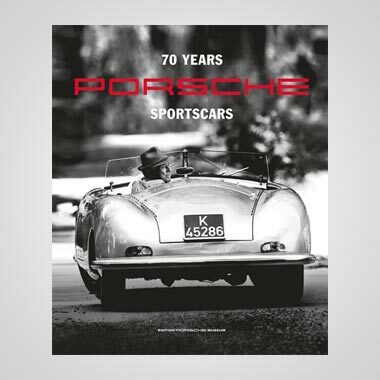 The shrinkage has removed much of the need for stamina and endurance, but one redeeming feature is that it at least allows older drivers to compete equally with those younger than them, without getting too fatigued! 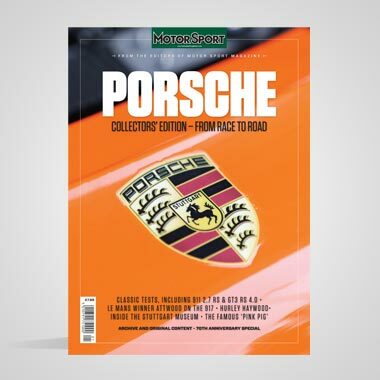 Although confined to a relatively small area, the route nevertheless covered a total distance of 2121 miles, of which the 32 special stages accounted for 328 miles, all due to repeat loops and the use of some stages more than once. Start and finish were at Athens, but Rally Headquarters was at the bungalow complex of Lagonissi, on the coast some twenty miles from Athens, halfway between the capital and Cape Sounion. Two of the night stops were there, but many crews, certainly the professionals, used cars or their teams' service helicopters to travel between the closed park and the similar bungalow complex at Glyfada's Astir Beach, which has been an unofficial base for Acropolis visitors and their families for well over twenty years. Many years ago the Acropolis used to have a single stage on the Sunday in order to determine the departure order for Monday's real start, but FlSA subsequently put a stop to this. Now, FISA wants such preliminaries back again, so the Sunday stage has been re-introduced, but as a short (2.8-mile) crowd-puller rather than one of any reasonable length. 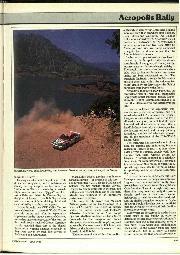 It was too short to be significant, and the Lancias, Toyotas and Mazdas were all within a margin of just four seconds. However, the Toyotas did have a spot of trouble, Kankkunen having a driveshaft changed before the stage, then breaking a brake-pipe. On the Monday there was a day-long loop starting and finishing at Lagonisai, when trouble for Mazda began with broken front wishbones for both cars, Salonen also needing a new front hub. 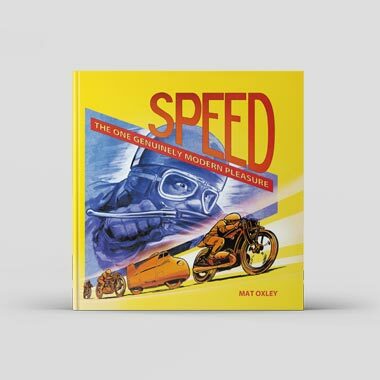 The Lancias had their suspensions raised, and Biasion seemed uneasy about his shock absorbers; Alén lost a little time when his throttle jammed, and Florio was without brakes for about five miles. Wilson lost time after suspension bolts loosened. A big disappointment for Toyota came when Waldegard first had his front differential stop working, then stopped altogether when his gearbox went. 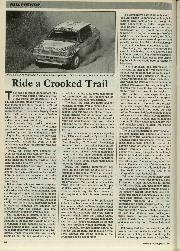 In Kankkunen's car four ears were kept cocked for transmission noises but they continued without any apparent trouble. Bin Sulayem lost his windscreen when his bonnet flew open, later going out after an electrical stoppage which included alternator failure. 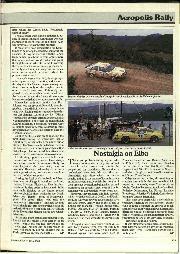 Lindholm also retired, as did Neyret after rolling her Lancia Delta, fortunately without injury. The day ended with Biasion in the lead, but only 41 seconds ahead of Kankkunen who was marginally ahead of Ericsson and Fiorio. Alén was seventh after his throttle problem. 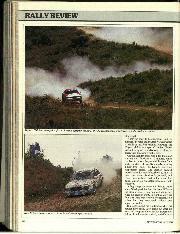 It must have been exhilarating for Kankkunen to be among the leaders, separating the Lancias. During his one year with the Lancia team he had to submit to team orders more than once, and we wonder what was going through his mind when he found himself up there, not exactly as a cat among pigeons, but certainly as a hawk, knowing that no Lancia team orders would be issued whilst his presence was a threat. Tuesday's stages were largely in groups, reducing service opportunities, and it was on this day that Kankkunen began making best times, slowing only on the rougher ones in order to avoid punctures. This really perplexed Lancia, although it should be said that the day was hot and the Lancia drivers were having to watch their thermometers carefully. Mazda lost both cars on this day. First Salonen lost his front differential, then his gearbox: then Mikkola went out in exactly the same way, having earlier stopped to have his rear diff changed. 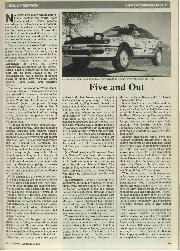 Later in the day, Wilson stopped with a broken cliff and gearbox, and it was interesting to note that the transmission failures of Mazda, Toyota and Vauxhall were all in units made by X-trac. We imagine there have been many earnest discussions since the Acropolis ended. Loubet put his Lancia on its roof, but the most disappointing retirement was that of Kankkunen, which took all the punch out of the rally. His Toyota really had been a thorn in the Lancia side, and it was a great shame that turbocharger failure ended his attack and allowed the Turin team almost to coast home. Overheating, punctures and failures of transmission and suspension have always been major risks in the Acropolis Rally, so what happened this year really was no exception. However, in these days of purpose-built sophistication, users are very much in the hands of their suppliers. During the final day's run back to Athens there was no change in positions up front, Biasion, Ericsson, Fiorio and Alén dutifully remaining in that order as instructed. Stohl once again finished as the highest-placed privateer, in fifth place, whilst the best Greek driver was "Jigger", ahead of Hadgipanagiotis. The latter driver, who uses the pseudonym "Stratissino", finished seventh despite having his arm broken when he was hit in the side by a non-competing car. His Nissan Silvia 200 was the highest-placed two-wheel-drive-car.